There are stars in stars in Bollywood. The seventh is at easy. So a star’s stars are on the ground. But it seems the same. 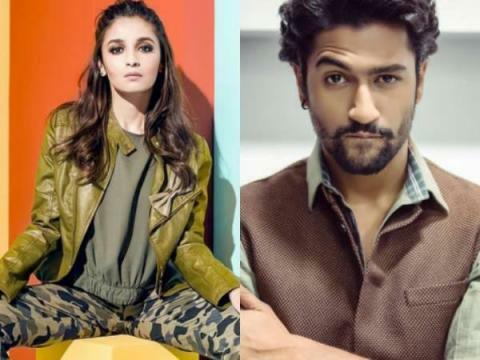 Bollywood’s glamorous and beautiful actress Alia Bhatt’s stars are both on the seventh sky. We are not saying that. This is what his work is saying. Because Alia is going to give a hit Bollywood movies after one. This series will continue even further. Because now, Alia Bhatt has started shooting for another film. Bollywood glamorous and beautiful actress Alia Bhatt has also started shooting for her next film “Raji”. Let me know That Alia will play the role of a Kashmiri girl. For the same movie to look full Kashmir. Meghna Gulzar wants to shoot the whole film in Kashmir only. But this is not possible. Because considering the circumstances of this time in Kashmir. It is difficult to shoot a movie there. So, the complete setup of this film will now be made in Mumbai itself. My new film, I Ali, will play a 20-year-old girl’s roll. This film will take the story of a time period on the screen. Also tell you this also. That this film is based on the story of a book. And to read this book story through the film to screen. 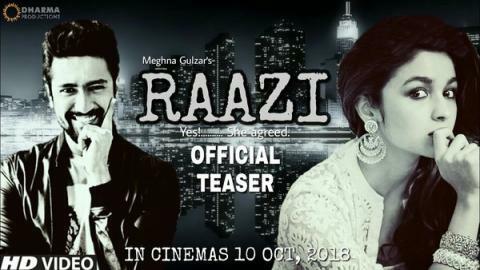 Meghna Gulzar has prepared it very well. That’s what you tell me. I will be seen in this movie, I am Alia Bhatt speaking Urdu. To speak Urdu in this film. Alia Bhatt has been working very hard since now. And he is also working hard to give a Kashmiri touch in his voice. After playing so many roles, Alia Bhatt will be seen acting in the film. In this movie, to act as a sequel. Alia Bhatt is also taking the training of self-defense. Let us tell you that in the film Raji, there will be Vicky skill of the upazit of Alia Bhatt. And let me also tell you this. The film has started shooting for Raji. Because recently, Karan Johar has also shared a picture of the clipboard from the movie “Raji” with his official Twitter account. And sharing the picture. Karan Johar has also written this. That the journey of Rajee’s film has started. And Karan Johar wrote that Meghna Gulzar Aliya Bhatt and Vicky Skills were best wishes on my behalf. Let me tell you that the shooting of the film has just begun right now. Now the movie is just waiting for the release.